It’s been quite a tumultuous 24 hours for Asus, as user complaints about the high-end Eee Pad Transformer Prime have mounted. The main concern among Android modders is the locked and encrypted bootloader, which keeps users from installing their own ROMs, kernels, recoveries and what have you. Poor GPS performance when not connected to networks is also an issue. Refuting public relations posts that came out of Italy earlier this morning, Asus’ United States branch said via Facebook that they’d be providing Android users with a bootloader unlock tool some time in the future. Asus informs its customers that Google’s requirements for certain DRM applications, including the Video section of the href=”http://www.android.com/market/” rel=”homepage” target=”_blank” title=”Android Market”>Android Market, require that certain security precautions be made. (At this point, no rooted phones or tablets can view rented or purchased videos from the Android Market.) 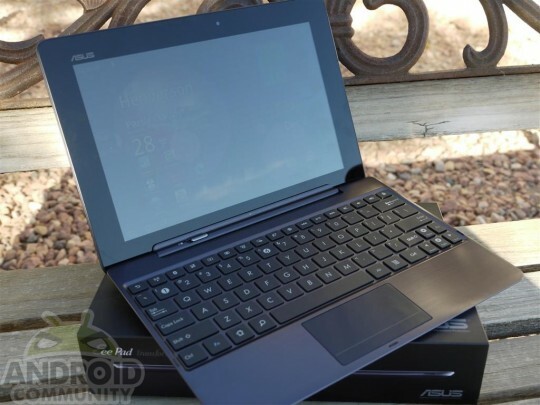 While Asus warns that any modification of core system software on the Transformer Prime will void the warranty, it understands the enthusiasm of the Android community, and will provide a tool for unlocking the bootloader. The post did not give a timeframe or technical details. The company also addressed the GPS issues, though there’s less promising information on that front. Asus notes the metal construction of the Transformer Prime as a primary cause for poor GPS reception, and unfortunately, there doesn’t seem to be any sort of solution incoming. The US office stopped short of recommending a smartphone for navigation purposes, and instead apologized for the inconvenience. It looks like the GPS issues will simply be a part of the user experience from here on out – you can connect to a WiFi network to allow for more specific location tracking. In more exciting news, Asus has given a timeframe for the promised Ice Cream Sandwich update for the very first time. Users should start seeing a worldwide rollout on January 12th, just a little over a week from now. Presumably the unlocking tool will follow the href=”http://www.intrinsyc.com/” rel=”homepage” target=”_blank” title=”Intrinsyc”>ICS release, which should suit most dedicated Android users anyway. Thank you very much for all of the support you have given to ASUS. Eee Pad Transformer Prime received excellent reviews and great demand when it launched in December 2011. Now, we are continuing to make the Transformer Prime available in the worldwide market, and doing our best to fulfill the incredible demand. ASUS strives to create the best products and provide the best service for our customers, and will be releasing an FOTA update for the Transformer Prime shortly. This update, version 8.8.3.33, will improve the focus of the camera, the fluidity of the touch experience, and the APK capabilities in Android Market. ASUS has been working hard to make the highly anticipated Android 4.0 Ice Cream Sandwich available on the Transformer Prime, and today, we have good news for you. Android 4.0 Ice Cream Sandwich FOTA worldwide update for the Transformer Prime will start from Jan 12th, 2012. Thank you for your patience and support through this process. In addition, we would like to address your concerns related to GPS and bootloader on the Transformer Prime. The ASUS Transformer Prime is made from a metallic unibody design, so the material may affect the performance of the GPS when receiving signals from satellites. Please note that this product is not a professional GPS device, and signal performance can be easily influenced by factors including, but not limited to: weather, buildings, and surrounding environments. Please understand there are limitations when using the GPS function. To avoid inconveniencing users who demand a powerful GPS device, we made the decision to remove it from our specification sheet and marketing communications. We apologize for any inconvenience this has caused. Thank you for all the understanding and support for the ASUS Transformer Prime. Happy New Year! I’ve got to say, after the disappointment in the initial revelation of the unlocked bootloader, Asus is handling this very well. The GPS issue is unfortunate, but it appears to be a hardware flaw – they’ll learn from it, no doubt. So, who’s ready for some Ice Cream Sandwich?